Homes & Land of Greater New Hampshire showcases listings and home related professionals in the Greater Salem, Manchester, Nashua, Keene, and Sunapee regions and more. 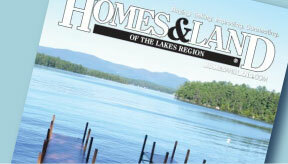 Homes & Land Digest of The Lakes Region highlights Realtors, listings, lenders, builders and home related business throughout Wolfeboro, Gilford, Laconia, Moultonborough, Meredith, Alton, Center Tuftonboro, Ossipee, New Durham, Tamworth, and more. Homes & Land of Seacoast NH & Southern Maine is your complete resource for Dover, York, Hampton, Kennebunk, Portsmouth, Kennebunkport, Exeter, North Hampton, Rye, Stratham, and more. Homes & Land provides real estate services to home buyers, home sellers, real estate agents, brokers, builders, lenders and a host of other industry-related professionals. 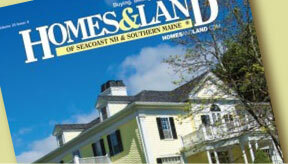 Home buyers can find homes for sale, land for sale and other real estate property listings at HomeAndLand.com. Home buyers can also find new homes for sale, search for new home communities or locate a new home builder. Homes & Land offers home buyers alternative real estate searches by real estate map, real estate magazine, or by MLS listing number. Our advertisers cite many reasons for their faithful patronage over the past 35 years. These include: the results the magazines produce for them, the quality, broad distribution, outstanding service, and overall value. 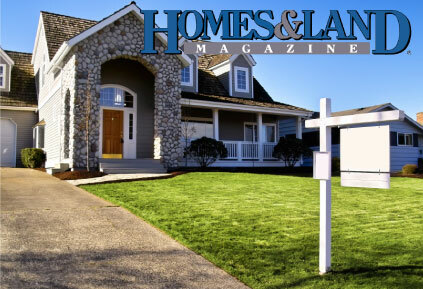 I highly recommend advertising with Homes & Land Magazine! I have been advertising with Homes & Land for the past nine years and consider them the best online and printed advertising media organization available to realtors for their real estate marketing needs. 25 years ago, I needed exposure for two award-winning spec houses, I had just built. I started advertising in Homes and Land magazine and achieved the desired results. As a result, I made the commitment then, to invest in my real estate brokerage by continuing to advertise in Homes and Land, which I have done not stop for the past 25 years. Homes and Land gives me exposure in not only print media but a strong presence on the web as well. I am confident when I put my listings in Homes & Land that I am getting the maximum exposure possible. My goal is to reach as many “real” buyers as possible. I am pleased to provide my clients the breadth and depth of my marketing knowledge and expertise. Homes & Land is a great partner for me in that effort! Rye Beach Landscaping began advertising in Homes and Land 3 years ago. It was our first attempt ever at real print advertising and our only one at the time. The response was immediate…we brought in several new customers who referenced the Homes and Land ad directly! Clearly there is readership there which is a relevant audience. Our Homes and Land ad continues to bring in clients and is an important piece of Rye Beach Landscaping’s marketing and branding strategy. Like our own products, it is reasonably priced and effective and the Homes and Land team is great to work with! 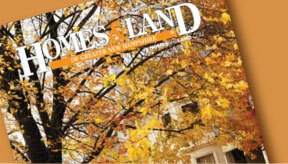 Homes & Land has become an integral part of my overall marketing strategy. Since committing to full page advertisements two years ago, my business has more than tripled. If you’re looking to generate visibility for your client’s property, as well as an avenue to brand yourself, you simply will not find a better value than Homes & Land.